The third-annual Major League Baseball Academies Tournament will be hosted by the Regensburg Academy at Armin Wolf Arena from March 28 – April 1. The tournament will feature some of Europe’s best young players, providing them with a chance to get quality competition prior to the start of the regular season. Over 100 players from six European nations will take part in the tournament. The players, all between the ages of 15 – 19, will be selected from their national player academy systems, where they receive year-round training. This year’s MLB Academies Tournament will consist of six teams from nations which run MLB-supported academies: Holland, Italy, Germany, Sweden, France and the Czech Republic. While the games will offer players some valuable pre-season competition, the focus of the tournament will remain largely on player development. Rules will be modified to prevent extended innings and there will be strict pitching restrictions to reduce the risk of injuries. 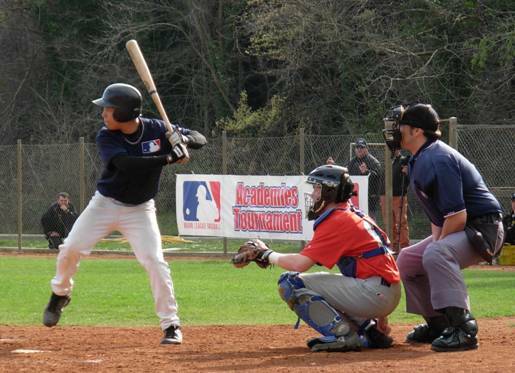 Last year’s academies tournament was hosted by the French Baseball Softball Federation at the Stade Toulousain Baseball Club in Toulouse, France. The inaugural 2008 tournament was hosted by the Italian Baseball Softball Federation at the CONI Olympic Training Center in Tirrenia, Italy. The MLB Academies Tournament is one part of Major League Baseball’s strategy to support player development in Europe. The centerpiece of this strategy is the MLB European Academy, held for three weeks every August under the direction of top MLB coaches and instructors. MLB also provides support to a network of locally run player academies which provide top young players with the best possible training throughout the off-season. At present, MLB supports 15 player academies in seven European nations, reaching hundreds of young players each year.